Michael Isaacs hails from a family of dancers. His mother, sister, cousin, daughter, and nieces are all dancers /or own successful dance studios all over the United States. Join Michaels today and become “Part of the Family”! Lee Garrard has taught dance for 50 years in Butler, PA. She is a National Past President of Dance Masters of America, and a member since 1958. She was selected to judge the World Dance Show Competition in Riesa, Germany in 2001 and is a member of several prestigious dance organizations including: Cecchetti Council of America and PA, Dance Masters of California, International Tap Association and more. Shelly Macy has been singing and dancing her entire life. She is a member of Dance Masters of America, which is a nationally respected Dance Teacher’s organization. Shelly has taught dance in Pennsylvania, Florida, and Southern California. She has also had the opportunity to judge many Dance Contests and Miss America State Preliminaries. She is a member of Actor’s Equity Association and has performed in many Equity Theaters throughout the United States. Shelly was also a Miss Florida State University and Miss Miami both of which were Preliminaries for the Miss America Scholarship Pageant. She was also selected to be a part of the Miss Florida USO Tour. Shelly also was a lead singer in a traveling band called "High Tide". She is also a member of the Screen Actor’s Guild and has done many Commercials, TV, and Film work. Shelly attended Florida State University double Majoring in Dance and Musical Theater. When attending Florida State she was selected for many performances. Shelly was an apprentice with the Pittsburgh Ballet Theater first under the direction of Ballet Master Frano Jellinic and his wife Dagmar Kessler and later Patrick Franz. Amy has been dancing for 46 years and teaching for more than 30 years. She has studied tap, ballet, jazz, modern (Horton – Graham) lyrical, musical theatre, character, Cecchetti, and acro. Amy has also studied voice and acting. She was a past Miss Dance of Pennsylvania and also Miss Florida State 1983. She has received numerous awards from Dance Masters of America and Cechetti Council of America. Amy has performed in various musicals; Guys and Dolls, Damn Yankees, Cabaret, to name a few. She has also performed in dinner theater and industrial commercial work. As a professional choreographer she has credits that include Summer Stock Theater, High School Musicals, Show Choirs and University Dance Troops Performances. She has also set choreography on soloists, large and small group numbers throughout the United States. As a teacher she taught at Northern Kentucky University in the theatre department, at local studios, workshops and distinguished studios across the country. 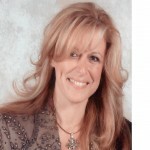 Amy is a frequent master teacher in California, Ohio, Florida, and Pennsylvania. She has taught nationally for Dance Masters of Ohio, Pennsylvania, Michigan, Florida, and New York. Elle Macy is from Huntington Beach, California. 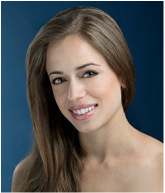 She studied at Orange County Dance Center and on scholarship at Pacific Northwest Ballet School. She attended summer courses at the School of American Ballet, American Ballet Theatre and Pacific Northwest Ballet School. 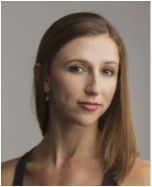 Ms. Macy joined Pacific Northwest Ballet as an apprentice in 2012 and was promoted to corps de ballet in 2013.